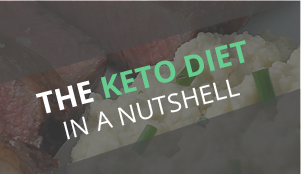 On a ketogenic diet, fatty fish has time and time again been proven to decrease cholesterol and help with health overall. It’s easy to prepare, it’s getting cheaper and easier to source good salmon, and it’s super tasty! 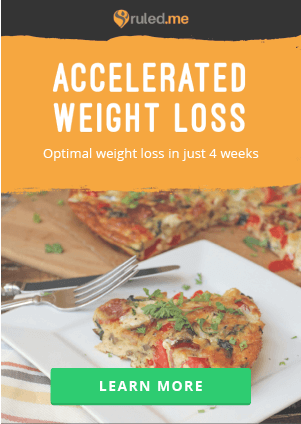 Plus, it’s really quick to make – just under 15 minutes from start to finish if you have everything out and ready to start. 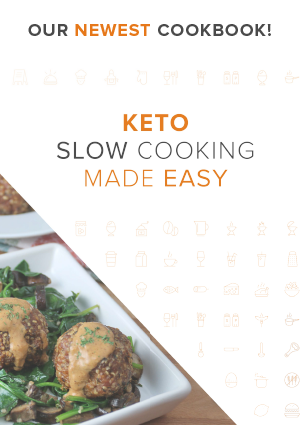 There’s nothing like a quick and easy recipe that can get you through the busy weeknights, but it’s perfect for when guests come over too – it’s decadent and everyone loves it! Growing up, salmon was not so much a delicacy as it was flaky, dry, and not-so-flavorful. 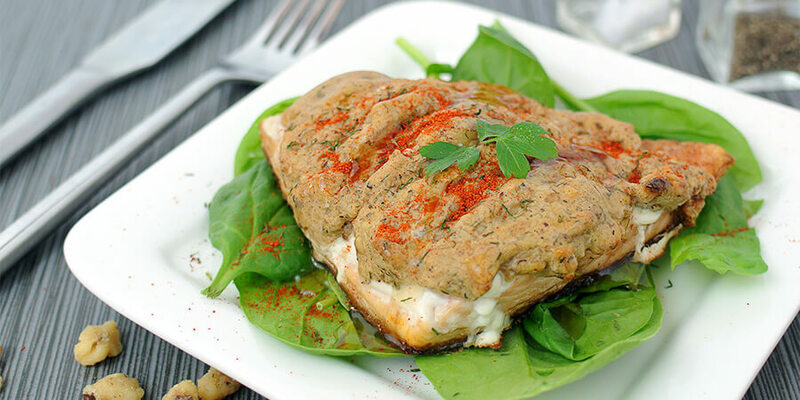 As I started to delve into more dishes that involved salmon, having the chance to prepare it myself, I re-discovered that salmon really is a fantastic piece of fish. 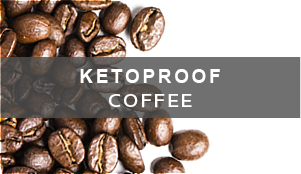 It should definitely be included in your meal rotation at least once every 2 weeks. 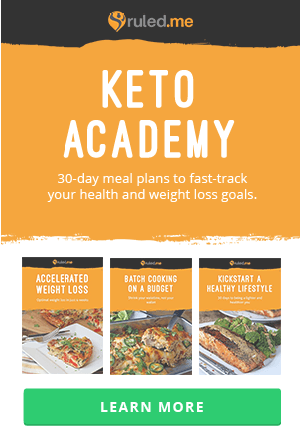 Besides the health impact of omage 3 fatty acids, salmon just plain tastes great – in this dish it has all of the qualities you want: a crispy skin underneath, moist and juicy meat, and a delicious crust on top that acts as a sauce. The walnuts, mustard, and dill bring flavor elements of their own that add to the dish indefinitely. You mustn’t forgo making the walnut paste for the top. Enjoy! 1. Preheat the oven to 350°F. 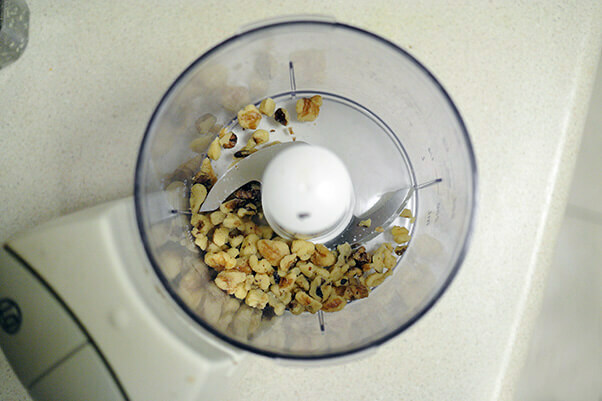 Add a 1/2 cup of walnuts to a food processor. 2. To it, add 2 tablespoons of maple syrup and your spices. 3. 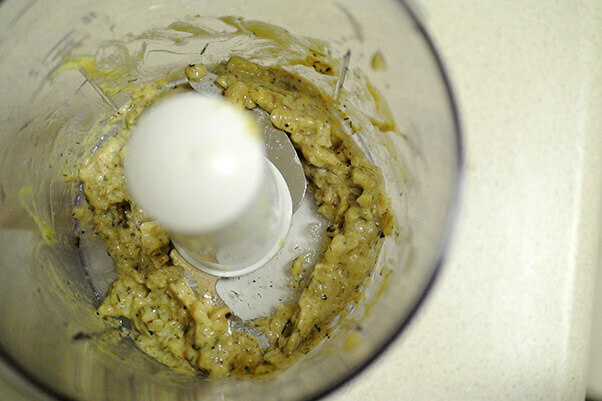 Then add a tablespoon of mustard. 4. 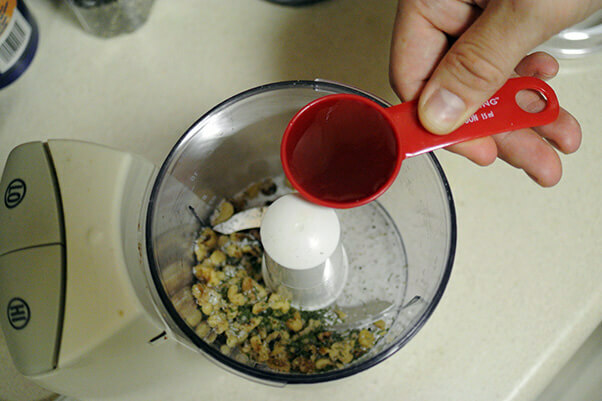 Pulse this in the food processor until it has a paste like consistency. 5. 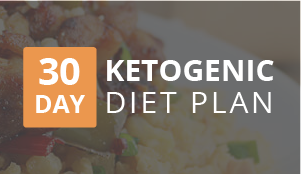 Heat up a pan or skillet with a tablespoon of oil until it’s very hot. 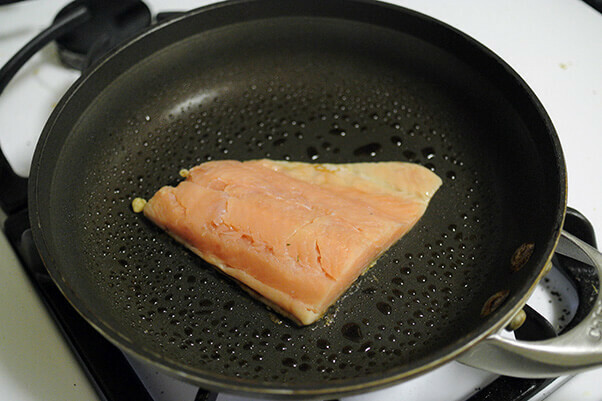 Dry the salmon fillets thoroughly and place it skin side down in the pan. Let it sear, undisturbed for about 3 minutes. 6. 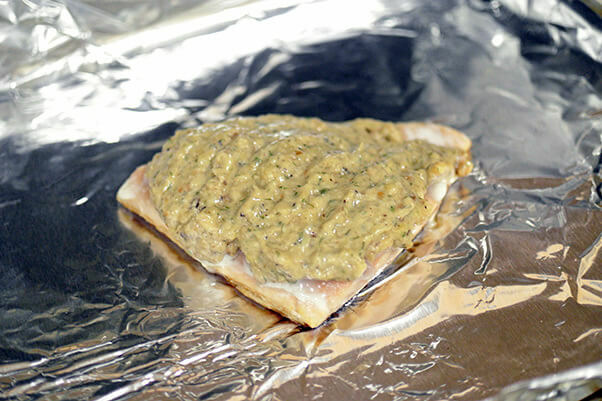 While it’s searing, add your walnut mixture to the top side of the salmon fillets. 7. Once they’ve seared, transfer them to an oven and bake for about 8 minutes. 8. 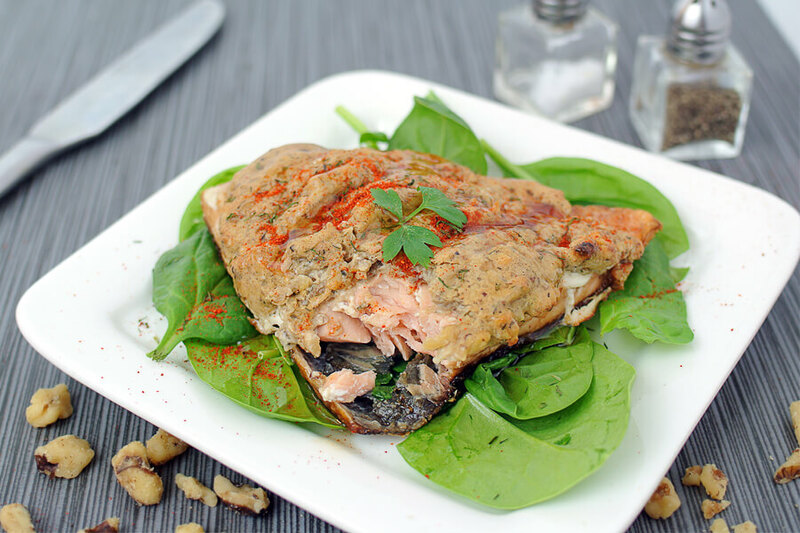 Serve with some fresh spinach and enjoy! Optionally, sprinkle with a little bit of smoked paprika. 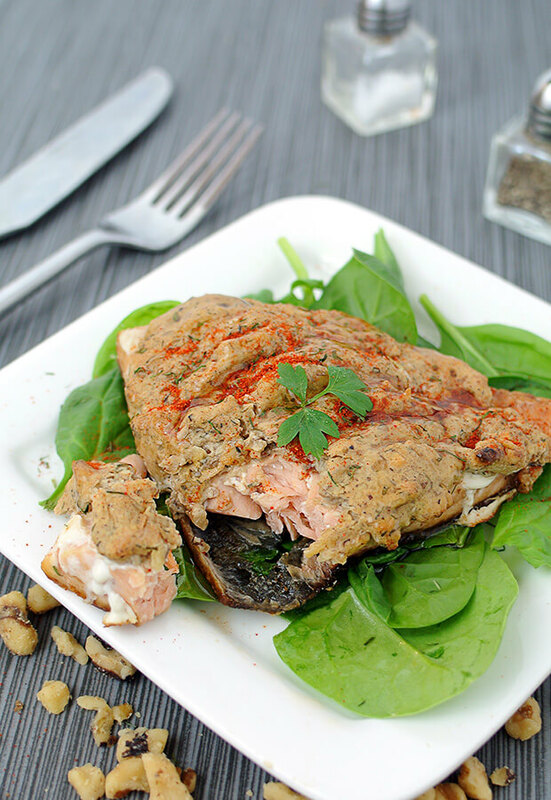 This makes a total of 2 serving of Low Carb Walnut Crusted Salmon. 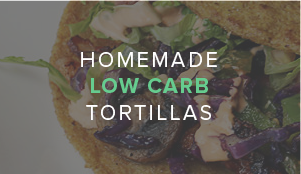 Each serving comes out to be 373 Calories, 43g Fats, 3g Net Carbs, and 20g Protein. Preheat the oven to 350°F. 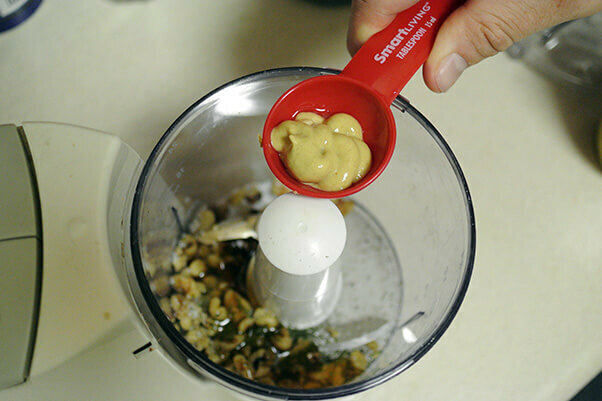 Add walnuts, syrup, and mustard to a food processor. Pulse until mixture has a paste like consistency. Heat up a pan with oil until it’s very hot. Dry the salmon thoroughly and place it skin side down in pan. Let it sear for about 3 minutes. 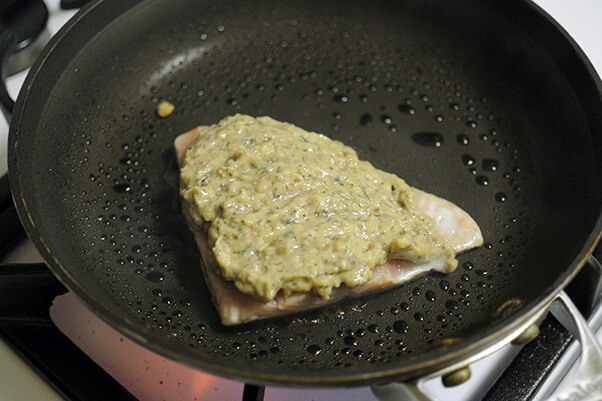 While it’s searing, add your walnut mixture to the top side of the salmon fillets. Transfer them to an oven and bake for about 8 minutes.